As expected, a ruling from the U.S. International Trade Commission (ITC) banning the import, sale and service of Hytera Communications products that infringe on three Motorola Solutions patents became effective today, but there are no limitations on Hytera’s DMR products that utilize the company’s new “i-Series” software. Announced on Nov. 16, the ITC opinion states that Hytera “intentionally copied” three Motorola Solutions patents and issued a cease-and-desist order—subject to a 60-day presidential review period that just concluded—that prohibits Hytera from importing, selling, marketing and servicing most of its existing DMR systems and subscribers. However, the ITC opinion also notes that Hytera’s “redesigned products”— the “i-Series”—do not infringe on any of the three patents in question. Hytera officials have said that customers can upgrade their existing Hytera DMR products to “i-Series” functionality with a free software upgrade. Hytera’s “i-Series” removes the functionality of the three Motorola Solutions patents at issue—technology designed to provide fast channel scanning, rapid re-keying and direct-mode pseudo trunking—but adds news features, such as optimized PTT, full-duplex calling and tripling the rate of GPS polling, according to Hytera America Vice President Steve Cragg. Cragg has stated that he believes the functionality loss from the removal of the three Motorola Solutions patents “will not substantially impact” Hytera customers. Sources representing both Motorola Solutions and Hytera Communications have acknowledged that existing Hytera customers could continue to use their DMR equipment in the field that includes the infringing Motorola Solutions patents. However, any service work on such gear would have to begin with an update to the “i-Series” software to comply with the ITC ruling—a standard procedure for Hytera dealers, according to Cragg. Sources familiar with ITC procedures have said that presidential reviews rarely result in any changes to ITC trade-dispute rulings, so the ITC ruling becoming effective today was expected. Hytera Communications gained access to the Motorola Solutions patents about a decade ago, when three former Motorola employees allegedly downloaded more than 7,000 Motorola files about DMR technology—even though none of the engineers were working on DMR projects at the time—just prior to becoming Hytera employees. When questioned about the matter, all three of the engineers have invoked the Fifth Amendment to avoid self-incrimination. Citing all of the circumstances in the record, the ITC opinion affirmed Administrative Law Judge MaryJoan McNamara’s July 3 finding that Hytera “intentionally copied” the three patented technologies in question. Motorola Solutions today issued a press release with the following statement from Mark Hacker, the company’s general counsel and chief administrative officer. 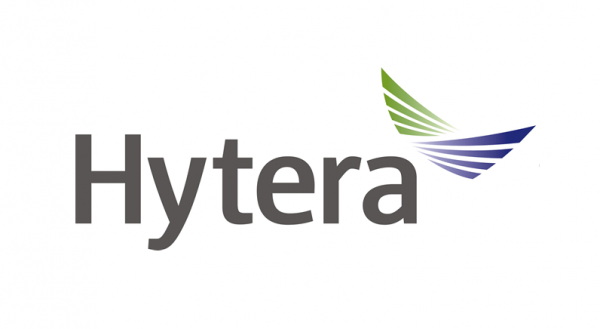 “The expiration of the mandatory review period marks the final step of the ITC’s investigation against Hytera, and Hytera is now prohibited from importing infringing products into the United States,” according to Hacker. “Motorola Solutions has invested extensively in researching, developing and delivering new and innovative products for our customers around the world, while Hytera has brazenly and repeatedly copied our proprietary intellectual property. “The commencement of the importation ban and the rejection of Hytera’s request for a repair-and-service exception are major steps in holding Hytera accountable for its theft and serial infringement of our patents, technology and innovation. Hytera also provided a statement about the matter to IWCE’s Urgent Communications. “The review is just the conclusion of the ITC’s process, with results that all parties understood two months ago,” according to the Hytera statement. “The only meaningful takeaway remains that Hytera’s new generation i-Series DMR radios do not infringe any patents, and that we can offer our entire current product line in the U.S.
“This has been a big defeat for Motorola Solutions, and it’s been interesting to watch how they’ve reacted desperately with another round of misinformation. While the company has brazenly suggested otherwise, the range of new generation i-Series products that we have announced in recent weeks are already available to our dealers and customers. This kind of misinformation campaign is why Hytera expects success in its suit against Motorola Solutions under the Sherman Antitrust Act. So, did the three offending Chinese thieves get prosecuted? Jailed?